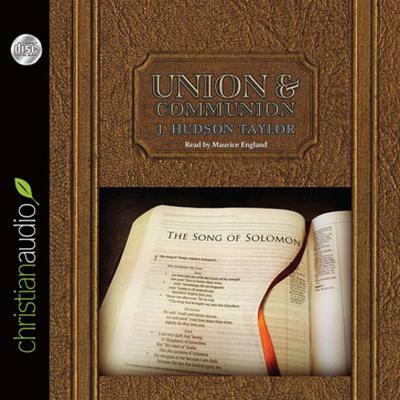 A Classic Devotional Study on the Song of Solomon. One of the abiding legacies of Hudson Taylor to the church is this small volume. In simple yet profound imagery, he laid out the deep truth of the Christians personal union with Jesus Christ. The key to understanding the Song of Solomon, he believed, was found in the New Testament in the Incarnate Word.Dividing the Song of Solomon into six sections, Dr. Taylor explained the significance and symbolism of the speaker in each section and how the mysteries of grace and love are revealed. His insights continue to stir new appreciation of one of the most overlooked and often misunderstood books of the Bible.